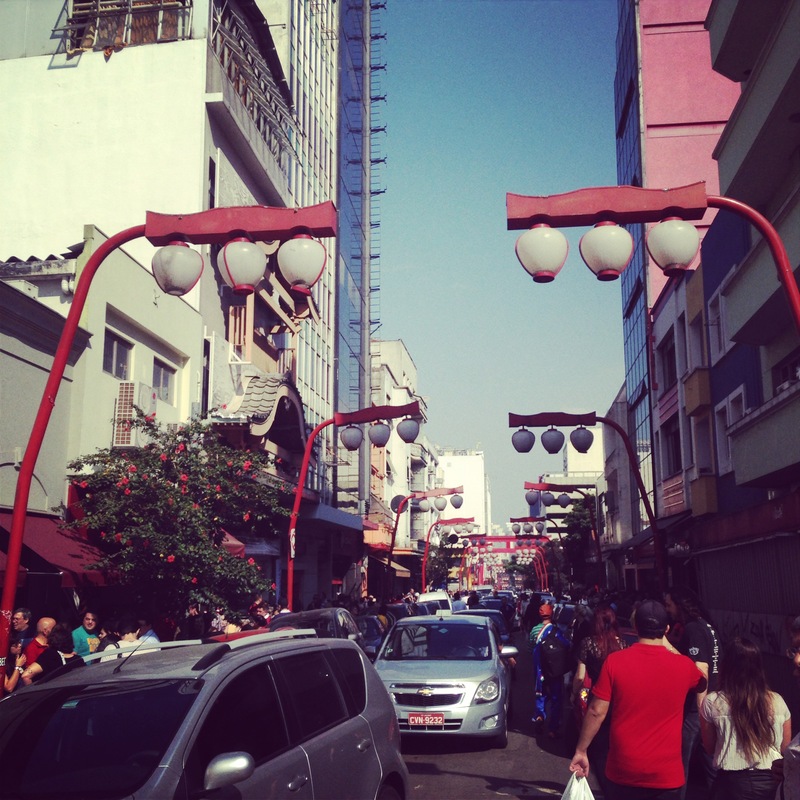 Liberdade is a traditionally Japanese neighborhood located near the center of São Paulo. It makes for an interesting exploration of Brazil’s diverse population and history of immigration. Brazil and Japan established diplomatic relations in 1895. A little over a decade later, the first boat of Japanese immigrants, the Kasato Maru, arrived in Brazil with 790 people, many of them farmers escaping hardships in the wake of the Russo-Japanese War. Most of the early immigrants worked on coffee plantations in southern Brazil and some managed to run coffee plantations themselves. Later, many Japanese would settle in the Amazon River region. The Japanese often faced prejudice and difficulties assimilating to Brazilian society. As years went by, many of them moved away from farms and into larger cities like São Paulo. During WWII, authorities in Brazil looked upon the Japanese immigrants with suspicion as it was fighting against the Axis Powers. After the war, the position of the immigrants improved and additional waves of immigrants were allowed to enter Brazil. Liberdade became the home of Japanese immigrants in the early twentieth century and today constitutes the largest community of Japanese outside of Japan. My first visit to Liberdade was on a Sunday for the weekly market in the Praça da Liberdade, just outside of the Liberdade Metro Station. The square is filled on one side with food vendors selling soba noodles, takoyaki, yakimochi, and more. Another portion of the square is filled with artisan booths selling pottery, clothing, jewelry, decorative items, cooking utensils and many other goods. The fair is especially crowded and at times it was difficult to navigate through the sea of people. If you’re in the vicinity of the Praça da Liberdade, but not in the mood for Japanese food, stop by Yoka, a pastelaria just off the square at Rua dos Estudantes, 37, for some of the most delicious pastel in all of São Paulo. A walk down Rua Galvão Bueno between the main square and Rua São Joaquim is a journey that will make you think you’ve been magically transported from São Paulo to Tokyo. The street, like other streets in Liberdade, is adorned with Japanese style lamposts. Near a highway overpass is a large red torii, a Japanese gate that one often sees in front of Shinto temples. Along the street, you can find several shops selling Asian foods and goods that may be difficult to find elsewhere in São Paulo. The Marukai market is an especially popular place to browse and sample exotic grocery items, though it is often uncomfortably crowded. Other shops sell souvenirs, a mix of samurai swords, sake, geisha dolls and teacups along with traditional Brazilian souvenirs like flip-flops, soccer jerseys, and gemstones. Along Galvão Bueno, you’ll also find vendors sitting on the sidewalk selling pirated items. These people hurriedly scoop up their goods into their blankets and run away whenever the police come down the street. A walk down Rua Galvão Bueno is also interesting for its street art and historic architecture, some buildings in better shape than others. As you walk down Rua Galvão Bueno, you might want to make a turn into Rua Tomás Gonzaga and stop by one of the many restaurants lining the street. Lamen Kazu, located at number 51, offers delicious bowls of Japanese noodles. Another interesting spot is Kintaro (number 57), a fusion between a Brazilian boteco and a Japanese izakaya (sake bar). The bar is apparently popular with sumo wrestlers, although I’m not sure how they could possibly squeeze themselves into this tiny place. If you’re after sushi, try Yamaga at Rua Tomás Gonzaga 66, a restaurant listed by the Guardian as one of the top ten budget restaurants in São Paulo. These spots are but a sample of the many restaurants along Rua Tomás Gonzaga. If you want to learn more about Japanese-Brazilians, there is no better place to visit in Liberdade than the Museu Histórico da Imigração Japonesa no Brasil. The museum does an excellent job documenting the story of Japanese immigration to Brazil, the challenges the immigrants faced in their new country, and the contributions they made to Brazilian culture. While only a select number of the informational panels in the museum have English translations (most are only in Portuguese and Japanese), the museum has plenty of interesting physical exhibits that help recount the history: models of the boats that brought the immigrants to Brazil, a reproduction of a cabin used on a coffee plantation, photographs and personal items belonging to the immigrants. The museum is located in an office building at the corner of Rua Galvão Bueno and Rua São Joaquim. Whether you come to Liberdade for the Sunday market, to shop for exotic groceries, gifts or gadgets, or to learn more about Japanese immigration to Brazil, you’ll be left with a deeper appreciation of the diversity of Brazilian culture. 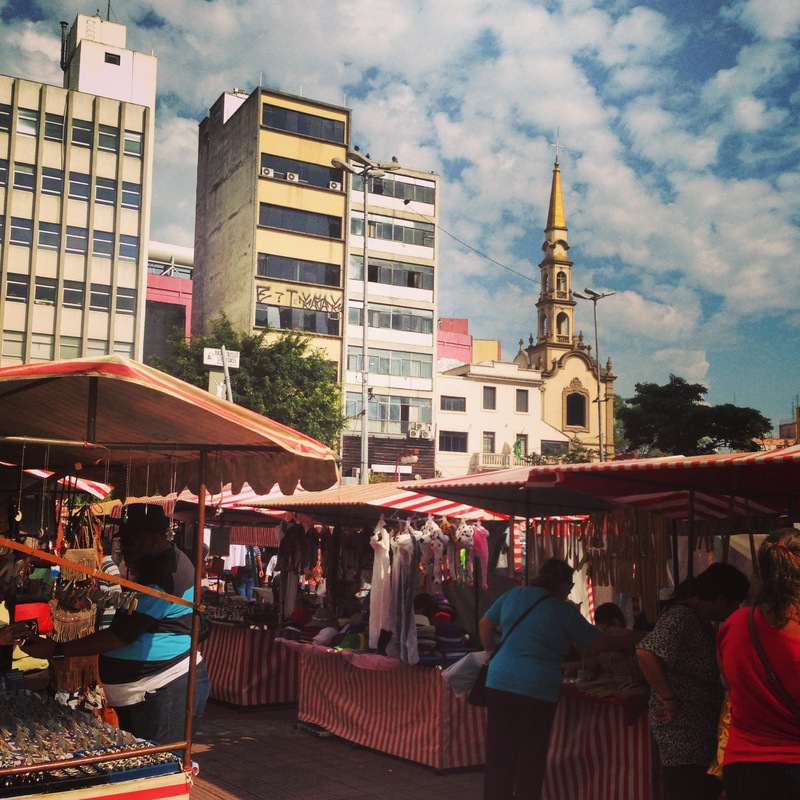 Have you visited Liberdade? What was your experience like there?